With an ever-increasing population of bilingual workers in the restaurant and hospitality industry, the importance of communication and management styles geared toward non-native speakers is paramount to a smooth operation. In response to increased customer requests, Red Book Connect today announces the release of four new bilingual versions of its popular Manager’s Red Book - an invaluable tool available for managers in the hospitality and restaurant industries to easily consolidate everything into one place so everyone’s on the same page. In addition, the Kitchen Red Book and the Room Attendant Book, companions to the Manager’s Red Book, are also available in a bilingual format. 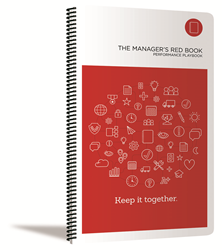 From capturing shift notes to documenting staff performance and customer comments, the Manager's Red Book is available as an all-inclusive best practices playbook, or can be specifically customized with solutions for everything from managing a bar, reservations, training, guest relations, pre-shift huddles, shift exchanges or days off. With this essential tool, managers can include custom task lists, action plans, brand standards, food prep lists, or anything else they desire in the book. And the best part: they’ll have it all covered in writing. Red Book Connect, LLC is a global mobile solutions company providing innovative technology for the restaurant, retail and hospitality industries. The company delivers a comprehensive suite of customizable software designed to automate managerial challenges such as hiring, training, scheduling, business intelligence, shift communication, labor and inventory management. Its world-class products include HotSchedules, Manager’s Red Book, Digital Red Book, Macromatix and Schoox. Red Book Connect is proud to serve more than 1.8 million users in over 108,000 locations across 26 countries. For more information visit: http://www.redbookconnect.com.